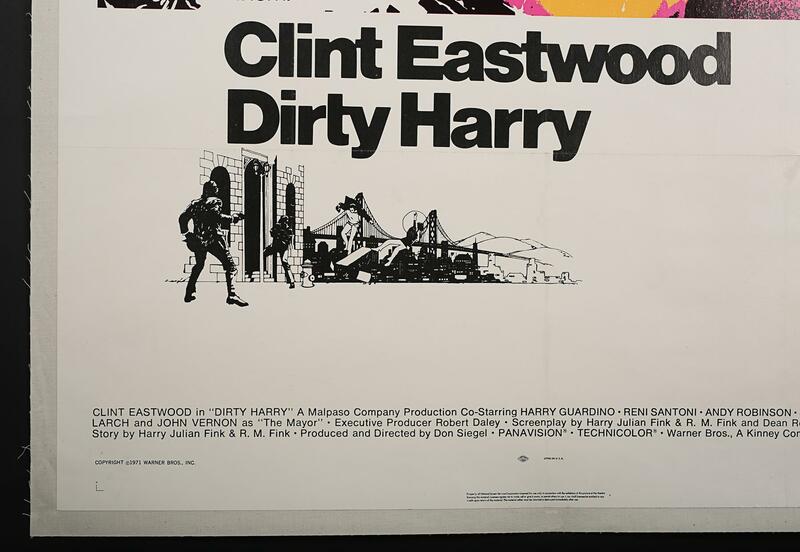 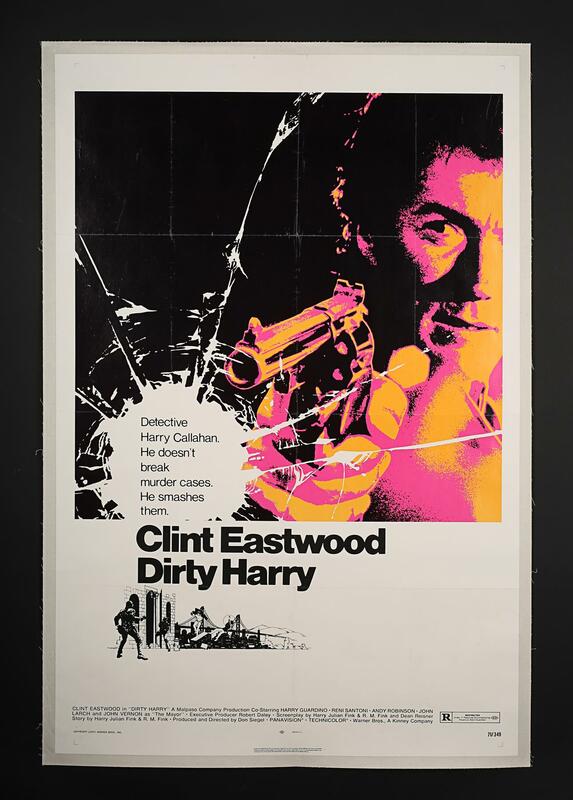 A linen-backed poster for the debut in the series of "Dirty Harry" films starring Clint Eastwood. One of the classic movie quotes hailed from the film: "Do I feel lucky? 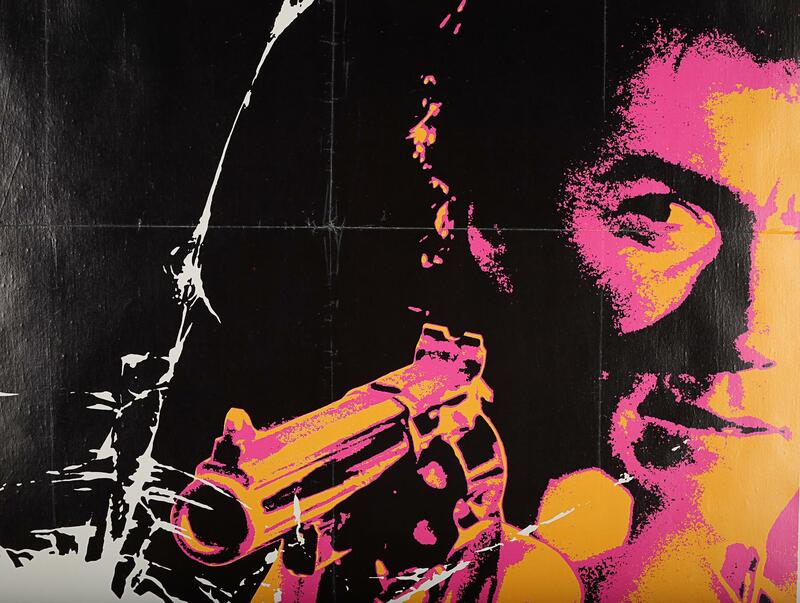 Well, do ya, punk?" 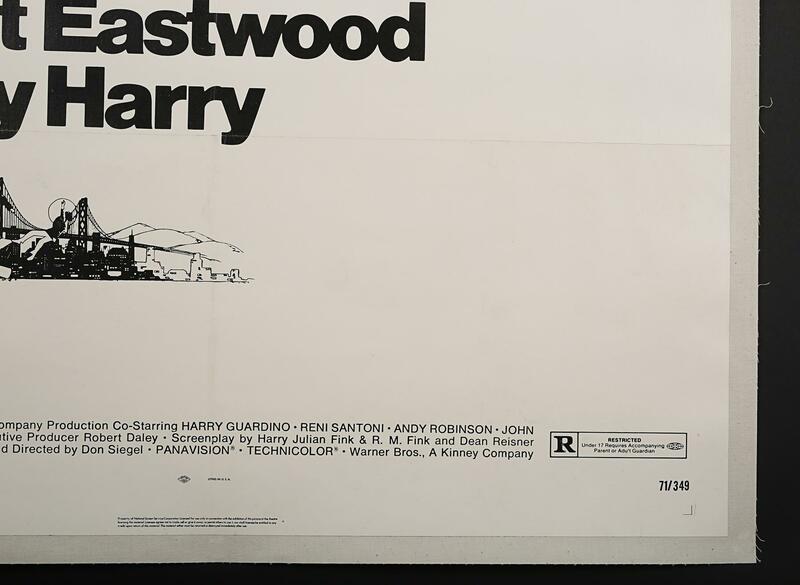 Linen-backed with some touch-in to foldline wear.